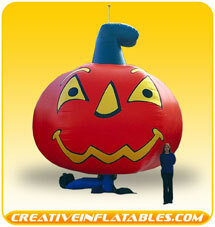 Rotatable Inflatables for Events. 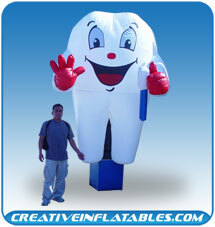 Add animation to your next promotion or event with the Rotatable Inflatable! 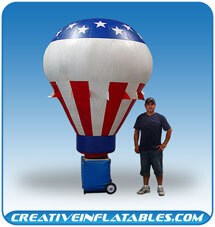 This patented combination inflatable and rotational device allows an inflatable to spin horizontally 360 degrees every six to eight seconds while inflated, allowing your inflatable to be viewed in its entirety in a matter of seconds! 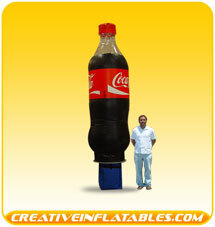 The Rotatable Inflatable has received the attention of many throughout the country from this animated, dynamic and revolutionary innovation. 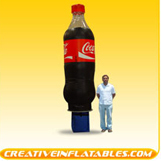 From introducing a new product, to promoting the versatility of your business, our Production Department can help custom design and manufacture an inflatable to meet your specifications. 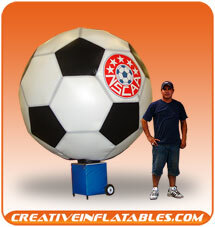 Put a spin on your inflatable and join the many satisfied customers already benefiting from this amazing promotional tool. 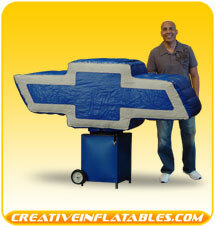 The demand for the exclusive "Rotatable Inflatables" by Creatable Inflatables has been overwhelming, so act fast!